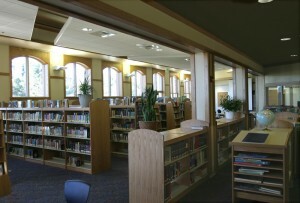 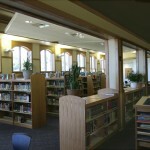 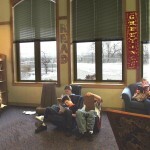 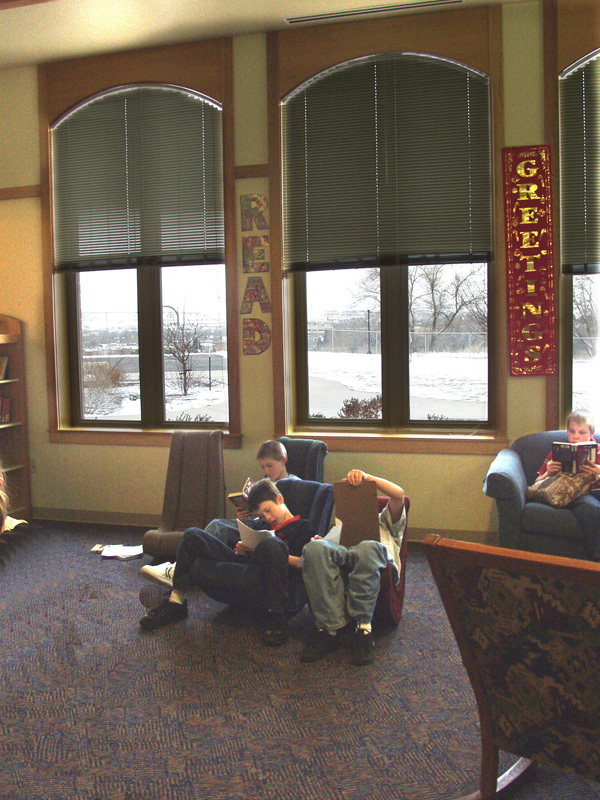 The Sheridan Junior High School library is in constant use from the young teenagers, so the furnishings, carpeting and other interior treatments were chosen with both durability and ease of maintenance in mind. The large windows on the south and west provide excellent natural light, but have fully operable window blinds for light control. 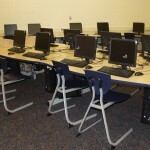 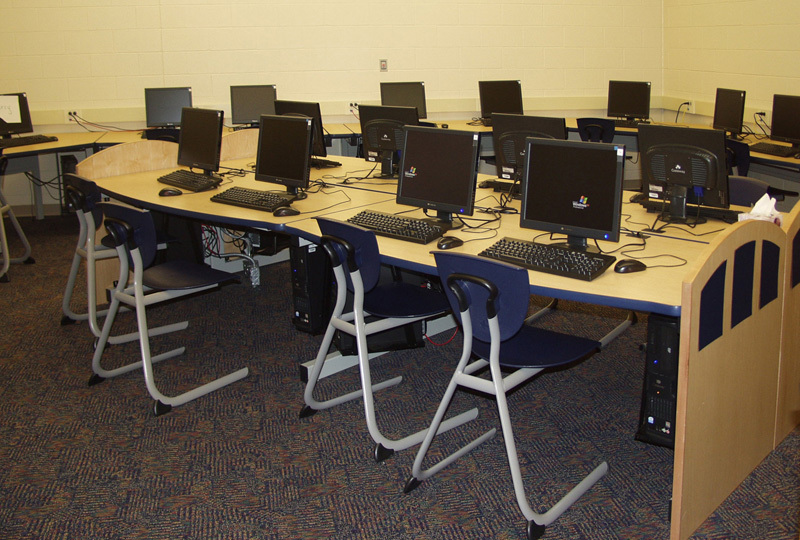 The three computer labs, comfortable reading chairs, and study carrels offer a variety of work areas.